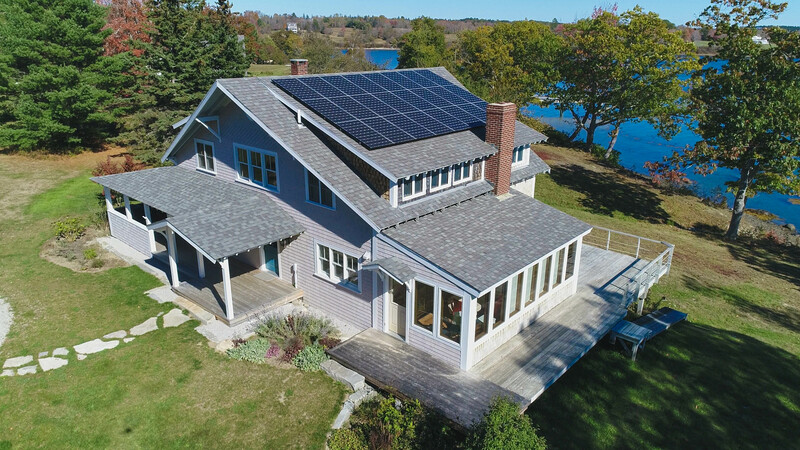 Are you building a new home in Maine and want it to be powered by solar energy? By incorporating solar in your plans, you can help maximize the system output. Here are some tips to get the most value from your solar system. If you plan to mount your solar panels on your roof, it is best to have a large south-facing roof. This can also be helpful for using solar energy to passively heat your home by the warmth of the sun. If your home is rectangular, have one of the long sides facing south. This gives you more roof space for solar panels. This is especially important if you want your system to generate all the electricity your home uses throughout the year. If you have a small south-facing roof, your space for solar panels is more limited. Mounting your solar panels at the proper angle boosts the energy output throughout the year. When panels are mounted at a steep angle, they generate more electricity in the winter when the sun is lower in the sky. If the solar panels were mounted at a 0-degree angle, they generate more electricity in the summer, when the sun is high in the sky. 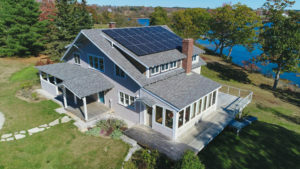 In Maine, if your roof is between 30 and 45 degrees, you will maximize your year-round solar energy output. Unshaded solar systems produce the most solar electricity. Vents, chimneys, and dormers can all cast shadows on your solar panels, reducing your sole energy output. Whenever possible, strategically locate these features to maximize your solar energy production and available space for solar PV panels. Trees and other buildings can significantly reduce the output of your solar system. When building a new house in Maine, it is helpful to locate it away from trees and other buildings that will shade your array. Even deciduous trees cast branch shade in the winter that can significantly reduce the output of your PV system. If shading is unavoidable, the Sundog Solar team can design a solar system that will mitigate the effects of shading on the solar system out.